527 p., 17,5 x 23,9 cm. With contributions by Harald Bollbuck, Alexander Brungs, Wolfgang Dickhut, Günter Frank, Joar Haga, Ian Maclean, Markus Matthias, Stephan Meier-Oeser, Hanns-Peter Neumann, Bernd Roling, Sascha Salatowsky, Wilhelm Schmidt-Biggemann, Gunter Scholtz, Reimund B. Sdzuj, Andreas Spahn, Denis Thouard, Francesco Valerio Tommasi, Jorge Uscatescu Barrón, Klara Vanek and Henrik Wels. In recent years, there have been many more studies of the early history of hermeneutics which transcend the individual disciplines. These focus on problems in understanding the text, on scriptural interpretation as initiated by the Protestant scriptural principle, the early modern traditions of rhetoric and dialectics as well as the origins of hermeneutics as a distinct discipline within logic in the early modern period. 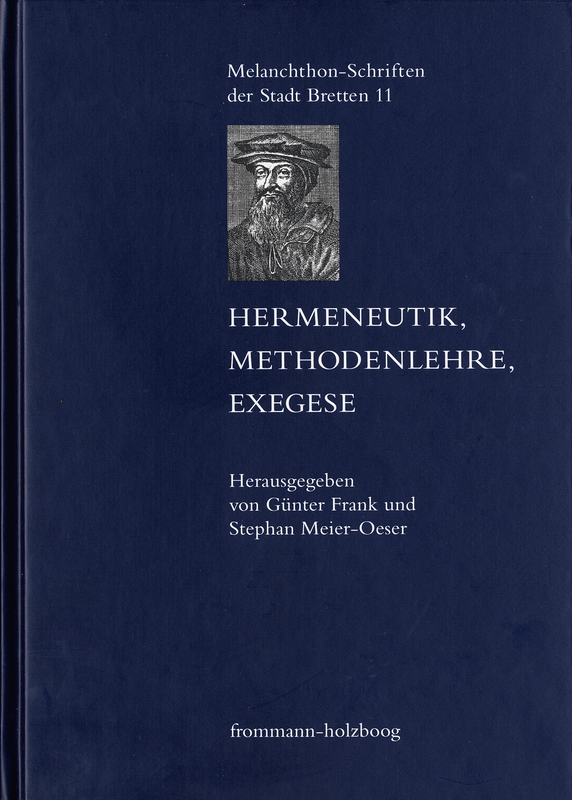 The articles in this edited volume, which originated during a symposium of the ›European Melanchthon Academy in Bretten‹ in October of 2008, summarize previous research and provide perspectives for future analyses of the early history of hermeneutics. [D]er Band [stellt] durchweg reichhaltige, präzise Forschungsbeiträge bereit [...], die für die jeweiligen historischen Einzelwissenschaften ebenso wie für die interdisziplinäre Wissenschaftsgeschichtsschreibung insgesamt von erheblichem Nutzen sind.